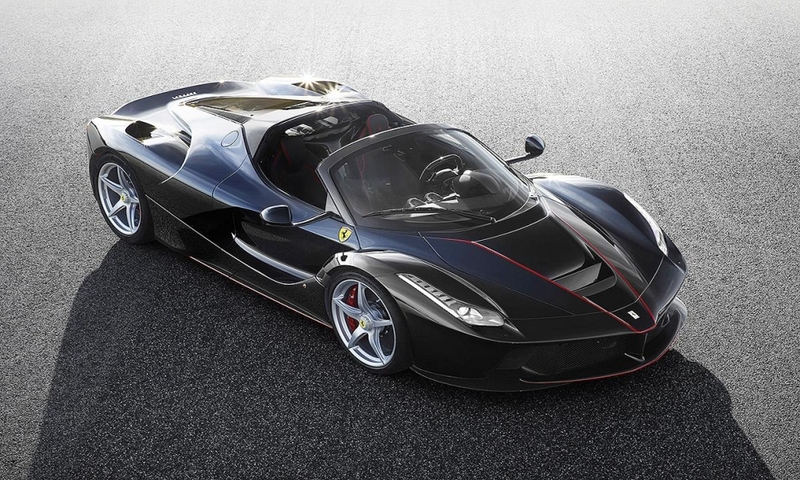 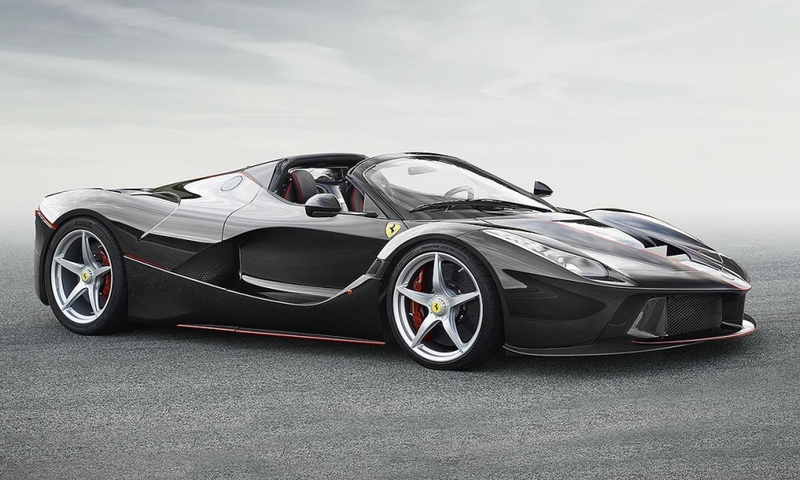 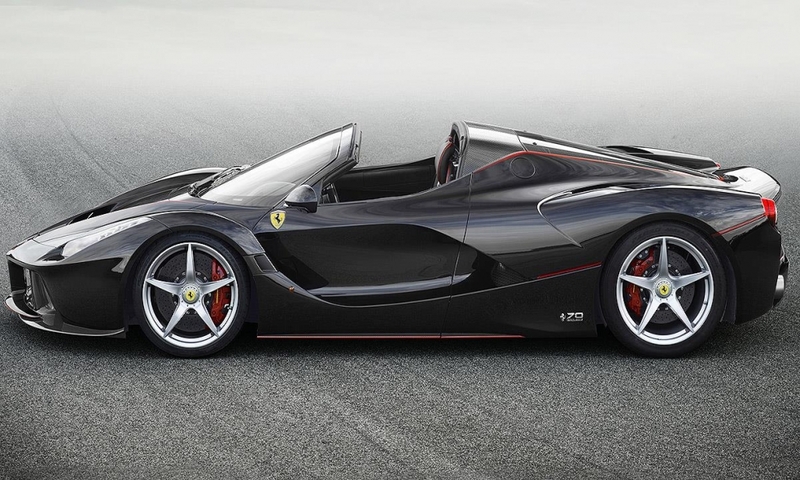 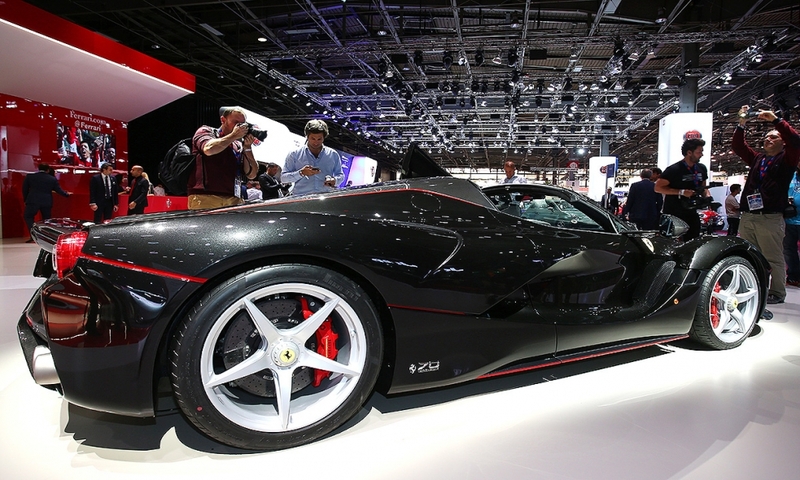 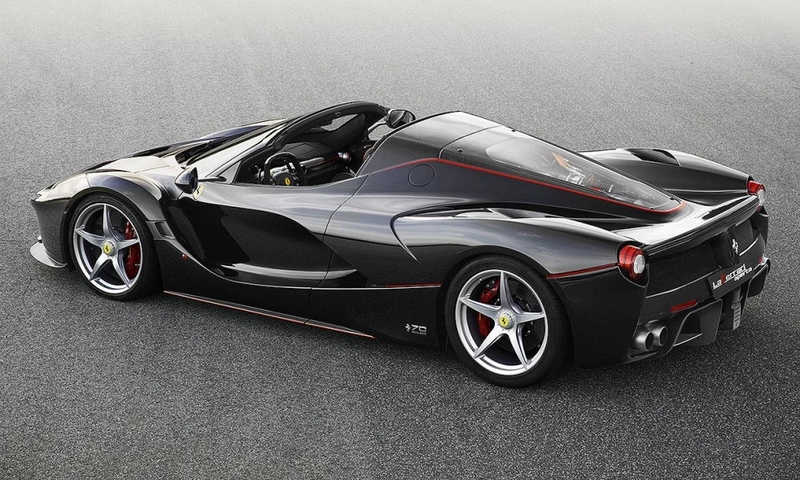 Ferrari's open-top version of the $1.1 million, limited-edition LaFerrari hybrid is called the LaFerrari Aperta (Italian for "open"). 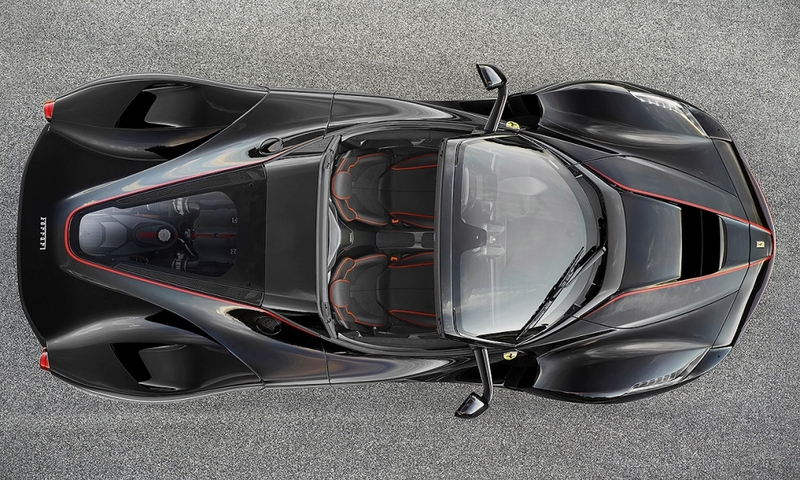 The convertible has the same performance figures as the LaFerrari coupe, unleashing 949 hp from its 789-hp V-12 engine and a 120-kW electric motor. 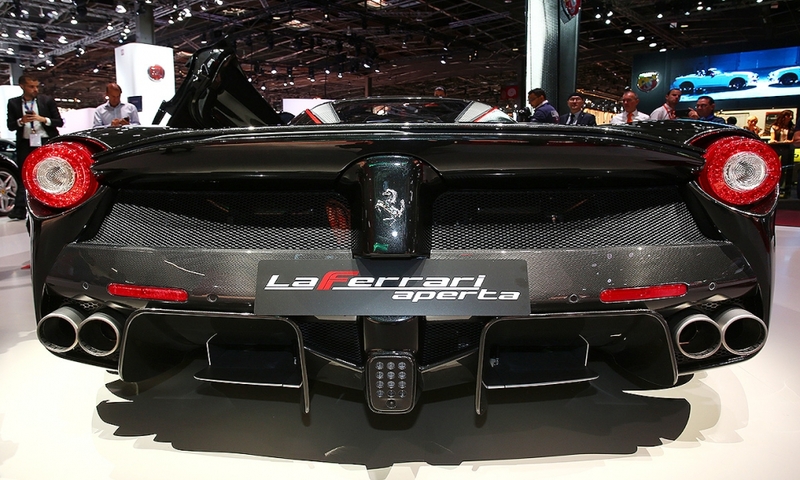 Its chassis has been modified to maintain the coupe's torsional rigidity and beam stiffness. 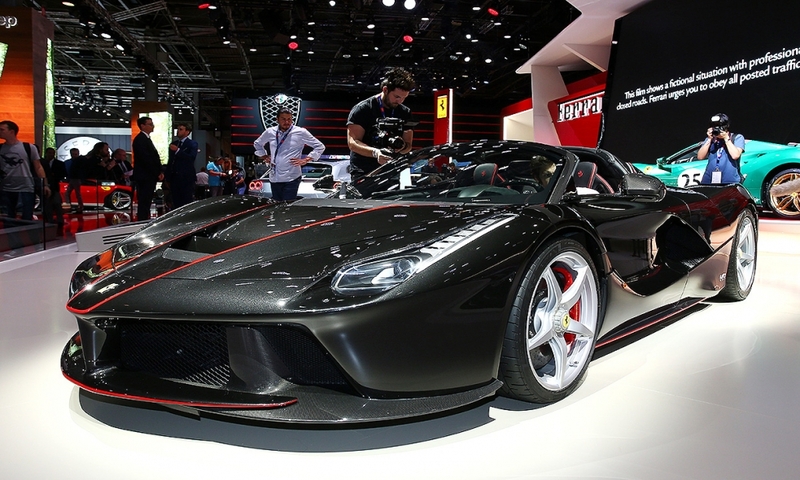 The company will disclose the convertible's price and production run in Paris, but it has said that the entire production has been sold. 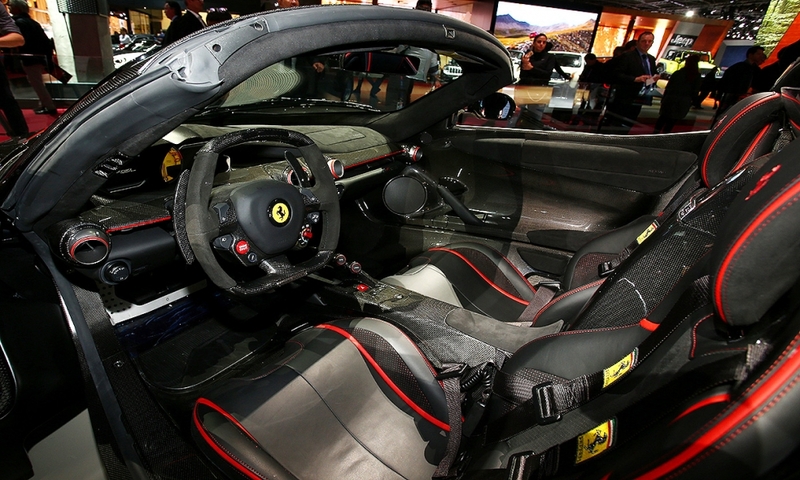 Ferrari also will debut a GTC4Lusso variant with a twin-turbocharged V-8 engine that will be sold alongside the naturally aspirated V-12 model as the brand expands turbocharging through its range to meet regulatory pressure to improve fuel economy.